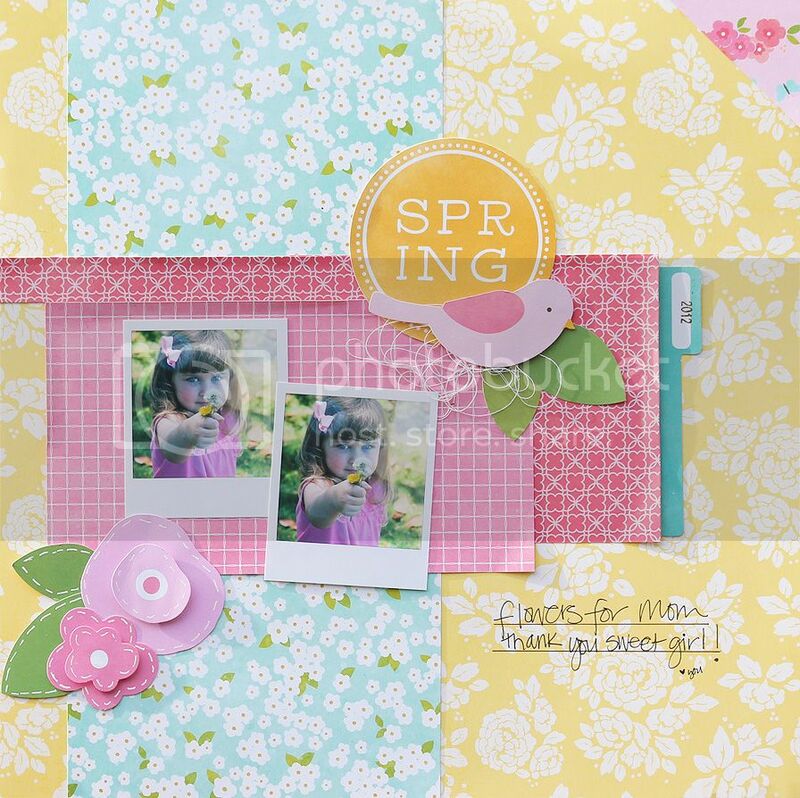 The April sketch challenge is up over at My Creative Sketches, here's my layout using the sketch and the April main kit from My Creative Scrapbook. I followed the sketch pretty closely this month, but used two small photos instead of one larger photo. Be sure to check out the sketch challenge here, the deadline for the contest is May 14 (midnight EST, USA) and the winner will be a random draw and announced on May 15. Those are sweet papers for a sweeter photo! Nice take on the sketch. Great take on the sketch, love those pps. Perfect spring layout, Mary Ann!! Love those sweep pics of your girlie! Gorgeous!!!!! You are awesome! What a sweet pic.